As an interim measure to forestall further killings and destruction of farmlands by suspected herdsmen, Governor Godwin Obaseki yesterday announced the banning of grazing of any sort in the vast forests and farmlands around Odighi, Owan, Odigwete communities in Ovia North East local council area. Besides, the governor also banned all illegal cattle markets in the state. Obaseki was accompanied by the Commissioner of Police, Johnson Kokumo, Director, Department of State Security (DSS), his Chief of Staff, Taiwo Akerele and other political appointees to Odighi where early this month, suspected herdsmen killed a Pastor of the Church of God Mission, Pius Eromosele in his farm after they allegedly demanded a ransom of N4 million. 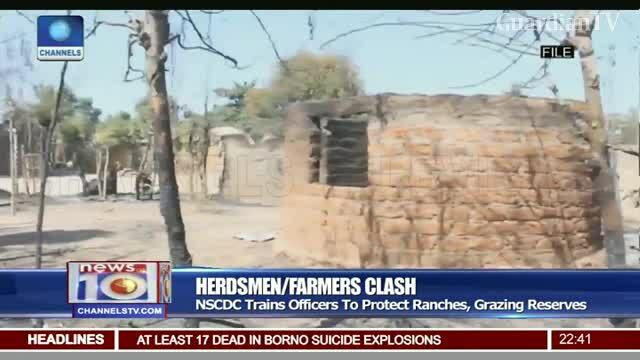 Within the period, the governor said a special task force made up of personnel from the police, army, DSS and local vigilante groups in the area would comb the forests to identify and take statistics of the camps and all herdsmen operating in the area and thereafter there would be designated areas where edible grasses for cattle would be grown and the herdsmen and their herds confined to the areas. It was a tale of woe and anguish as the indigenes of the communities at the meeting recalled various sad stories and experiences. They lamented that they have abandoned their farms and many of their sons and daughters are drifting to the state capital to become labourers just as they lamented their women either go to fetch water or their farms in groups or escorted by hunters and men from the community. The governor who had earlier attended the Sunday service at St Stephens Anglican Church said; “You have lived in these communities with herdsmen be they Hausa, Fulani, Chadians over the years, the issue now is what has happened and why has this relationship deteriorated, as the president said, this is part of a major security challenge we have faced on the continent and in particular Nigeria. “But as a government, it is our responsibility to face any challenge that comes our way. Part of this is to destabilise us either by directly attacking and also to create confusion and communal clashes amongst us even within the country. “What we see now are not herdsmen the way we use to see them, these are criminals and these are militants and we don’t want you to mix them with those who live with us peacefully so we want to separate them from those who are criminals. There are two things they are doing, they are doing cattle rustling and they come here to look for market to sell them so they will go to the farm, they will eat whatever they can find so that they can fatten the cows so the first thing we have done is to ban illegal cow markets so anybody who is going to sell cows, we know the market and where the cows are coming from.